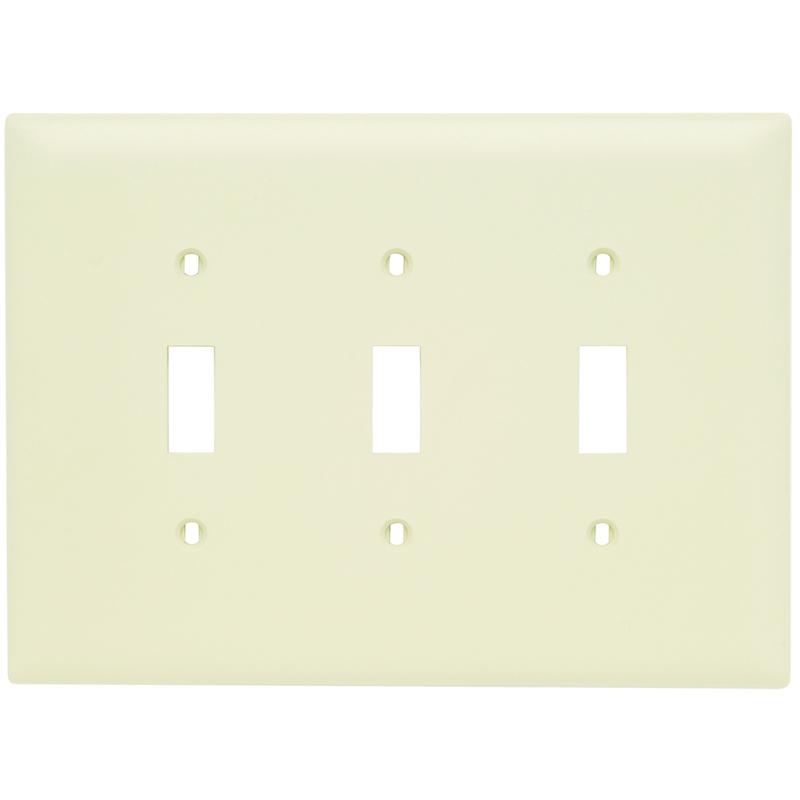 Detailed Description: Pass & Seymour TradeMaster® 3-Gang Toggle switch jumbo-sized wallplate in light almond color features molded of rugged, thermoplastic construction. This indestructible self-extinguishing nylon wallplate is widely used for residential or commercial purpose. Wallplate is wall mountable for convenience. Wallplate measures 6.937 Inch x 5.062 Inch x 0.500 Inch and is perfect for vertical orientation. 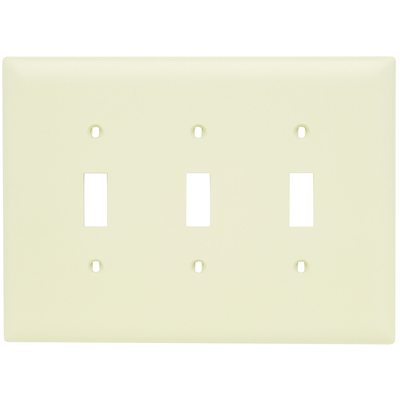 Wallplate is UL listed, CSA certified.